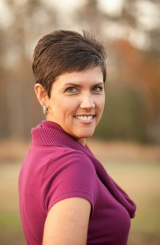 Stephanie Arnold, Amniotic Fluid Embolism Survivor and the founder of AFEmom.org joins eHealth Radio and the Health News, Pregnancy & Female Health Information Channels. A big part of your story centers around overwhelming premonitions of doom you had during your pregnancy. Can you tell me more about the events leading up to the birth of your son? What happened the day you gave birth? Did your premonitions ring true? Can you explain what an Amniotic Fluid Embolism (AFE) is? What should women do with that information? Because on your premonitions, you made sure to assemble a great medical team prior to the birth of your son. How did you approach the specialists you worked with? What kind of questions did you ask? Now that you’ve decided to share your story with the world and take on the role of a patient advocate. What are you hoping to accomplish from your efforts? 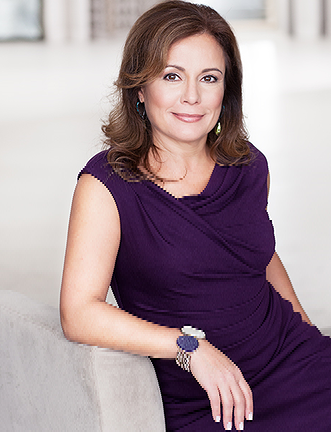 Known for covering the story rather than being the news, Stephanie’s multi-talented 27 year television career generated her Emmy Nominations and a Telly-Award as she directed and produced numerous television series, reality shows, music videos and documentaries. Her personal life as wife and mother, on the other hand, recently took on a direction most broadcast media would love to produce, rather than star in it. Currently, in her “second” life, Stephanie’s entire world has changed, shifting gears from being behind the camera to being front and center. Mom dies during childbirth and lives to tell about it, OH, and she predicted it would happen! Stephanie was clinically dead for 37 seconds after giving birth to her second child Jacob. She suffered a catastrophic amniotic fluid embolism (AFE) on May 2013. Something so rare, most doctors have only read about it in their textbooks. Stephanie’s case is a raw look into wonders of human instinct and the human body. Not only did she survive such a rare occurrence, but surviving as well as she did months after and predicting what would happen, has led doctors to call her a true medical miracle. Prior to her son’s birth, Stephanie was diagnosed with a complete placenta previa, which can cause serious complications during delivery. Following this discovery, Stephanie experienced overwhelming premonitions of doom. She told anyone who would listen to her anxiety and her intuitiveness, but was never taken seriously. She spoke to many doctors and specialists in hopes that someone would pay attention to her. Unbeknownst to her, someone finally did and that doctor flagged her file and incorporated extra measures in the operating room at the time of delivery that ultimately saved her life. With the gift of a second chance at life, Stephanie has devoted herself to making others aware of their own intuition. She encourages patients to become their own advocates when speaking to their health care professionals. She currently serves on the patient committee at Northwestern Memorial Hospital and has created a web site www.afemom.org as a resource for information and inspiration. “If you SENSE something, SAY something” is her message as she wants the world to know speaking up can ultimately save your life. Blossom Benedict who has helped thousands of people to unleash their voices in the world by giving up the judgments that are holding them captive joins eHealth Radio and the Personal Development Channel. Blossom, you travel the world teaching classes which you call Right Voice For You - what are they all about ? Who are the classes best for? How did you get started in launching Right Voice For You? Any examples of some one that has come to one of the classes and the results? What if you could be the star of your life? What if you could unlock all the things that keep you from singing, writing, speaking or communicating? What if you could truly enjoy the gift you are? This is your invitation to discover just how much more there really is. Blossom Benedict is a member of Actors Equity, holds a BA in Drama and has appeared in dozens of productions across the United States. 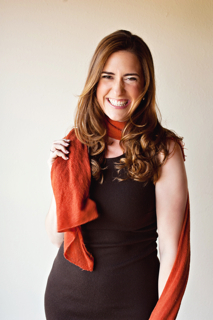 She was the lead teacher of The Children’s Healing Project at the Stanford Children’s Hospital, The Director of TheatreWorks’ nationally acclaimed Playing with Poetry summer camp and has taught theatre, music and Access Workshops throughout the US, Canada, Central America, Europe and Australasia. After 10 years of teaching, Blossom now combines her technical background of music and theatre with the tools of Access Consciousness to turn coaching as we know it on its head, gifting people more access to themselves. Tamara Seyhun, President of Hanna Ibes, Inc. d/b/a FlexAwaySystem.com who has been doing business for more than 10 years in Manufacturing and the sales of a US patented and USA made facial exerciser device the Flexaway System that has been FDA approved since 2001 joins eHealth Radio and the Anti-Aging & Skin Care Channels. What is the Flexaway System? Why should one use this instead of seeing a dermatologist or plastic surgeon? When looking in the mirror I was getting deflated: my chin was whittling away, upper lips seemed to be thinning out, I was getting this sad face (corners of mouth turned downward) how was that happening when I was happy? My cheeks seemed flat. Lastly that darn underneath chin whatever needed tightening, I was convinced. 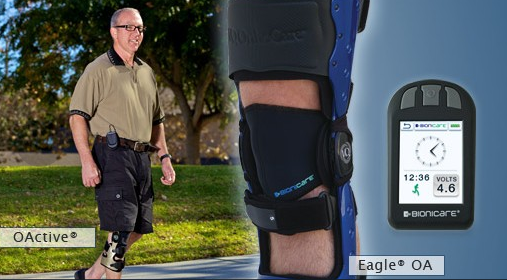 I began using the flexaway system in March 2013 in the middle of a blizzard. I had been surfing the web and noticed that www.flexawaysystem.com had this facial exerciser device. I thought why not try it since I work out and lift weights and know how that has improved my body after three kids. I had also done Pilates to strengthen core muscles in the past. I have experienced first hand the benefits of exercise and how it brings back our shape. So, I thought, why not try a product that brings back the shape of my face? What did I have to lose? My double chin? 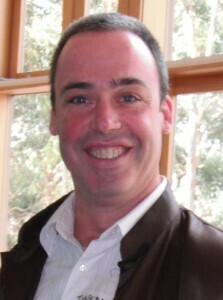 As President of www.Flexawaysystem.com, I urge you to try it so you can feel and see the benefits. We welcome you to send before and after photos and please share your experiences with us via email or on our Facebook page. We are so confident in the Flexaway System that we offer a customer satisfaction guarantee. If you don't like the Flexaway System simply return it within six-weeks for a money back guarantee. If you have any questions about our products, please contact us. Our staff and I are here to help. 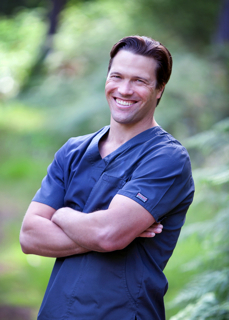 Dr. Justin Piasecki a board certified plastic surgeon and founder of Harbor Plastic Surgery Center in Gig Harbor, Washington joins eHealth Radio and the Plastic Surgery & Skin Health & Cancer Prevention Information Channels to discuss do’s & don'ts regarding one’s skin and the sun. It’s that time of the year where the sun is everywhere - what are the key do’s/don’ts regarding one’s skin and the sun? What would you say to someone who hasn't used sunscreen most of their lives, is it ever too late to start using sun protection? How does one really keep their skin from aging so quickly? You have developed a skincare product that is the first to utilize an organic protein called sericin silk – tell me about this. Giving back is an important part of your family life – tell me about the charity focus you have. 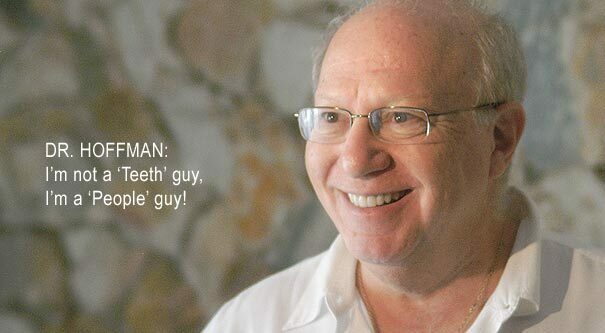 Dr. Howard Hoffman, often referred to as Miami's "Original Sedation Dentist", who often says he is not a teeth guy, but a people guy joins eHealth Radio and the Dental Care Channel. 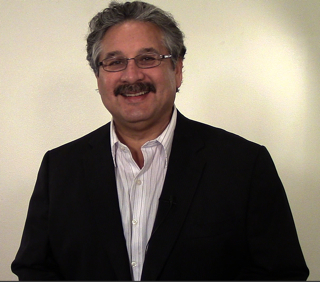 Dr. Hoffman now features the Pinhole Surgical Technique (PST™), an innovative alternative to traditional gum grafting. To start, particularly for listeners in South Florida, tell us about SmileStylers® and your practice in general. As someone trained in the Pinhole Surgical Technique (PST™), which enjoys a lot of media acclaim, what are the principal benefits of this procedure? How did you learn or become proficient in this technique? You also have considerable knowledge about sedation dentistry. What does this specialty entail, and what type of patient is an ideal candidate for this option? Summarize some of the noteworthy work you have done - and continue to pursue - involving obstructive sleep apnea and its relationship to your professional training. Based in South Florida and often referred to as Miami's "Original Sedation Dentist," Dr. Howard Hoffman holds an undergraduate degree from Ohio State University (1970) and a dental degree from the University of Maryland, Baltimore College of Dental Surgery (1974). He continued his education at The American Academy of Implant Dentistry at The Medical College of Georgia School of Dentistry, followed by completion of The Harvard Seminars in Implant Dentistry at Harvard University School of Dental Medicine. Dr. Hoffman then went on to Lynn University, where he earned a Master of Professional Studies with an emphasis on BioMechanical Trauma and a focus on TMJ and Neck Pain. Dr. Hoffman's approach to comprehensive dentistry, with continuing education in Sedation Dentistry, Advanced Cosmetic Procedures, and Obstructive Sleep Apnea now features the Pinhole Surgical Technique (PST™), an innovative alternative to traditional gum grafting. Eric Anderson the Vice-President of Global Sales & Marketing for NattoPharma ASA, Norway, an international biotechnology company and exclusive supplier of MenaQ7®, the only clinically researched and validated natural vitamin K2 joins eHealth Radio and the General Health, News and Nutrition Channels. You mentioned Vitamin K2 consumption is important for bone health, tell us more about that and the link to osteoporosis. Who would need Vitamin K2 most? There is so much conflicting info on vitamins and supplements readily available to consumers, how do we know what to believe and what to disregard? Eric Anderson is Vice-President Global Sales & Marketing for NattoPharma ASA, Norway, an international biotechnology company and exclusive supplier of MenaQ7®, the only clinically researched and validated natural vitamin K2. NattoPharma has since 2007 driven the research and development for vitamin K2 collaboration with VitaK, University in Maastricht, The Netherlands, working to substantiate the health benefits of natural vitamin K2, and now have entered into a multi-year program with the Cardiovascular Institute Maastricht (CARIM) to further develop the understanding of K2’s CV benefits. Eric has been a member of the natural products industry for more than 18 years, during which time he was involved in the introduction of several novel ingredients, including CLA, AKBA and krill omega-3.